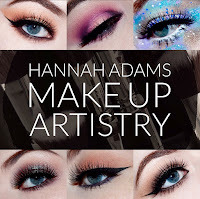 As a new make up artist it can be a challenge working out just where to start when it comes to building your kit and when it comes to specifics like foundations, eyeshadows, blushes, you sort of just want to throw your brushes in the air and hide away from it all, because there is just....SO....MUCH...CHOICE. But I have found that a great place to start is with one great go to palette that can take you through concealers, colour correctors AND foundations without having to fiddle about with individual bottles and go through the dramas and nightmares that come with picking and choosing different shades. Following some advice from my GC tutor as well as a bit of research online I decided to opt for the Bobbi Brown BBU palette. Bobbi Brown is a brand who focus namely on skin and not masking your natural beauty but rather enhancing it, perfect if you're working with a bride or someone who isn't quite used to wearing quite as much make up as someone like me is. 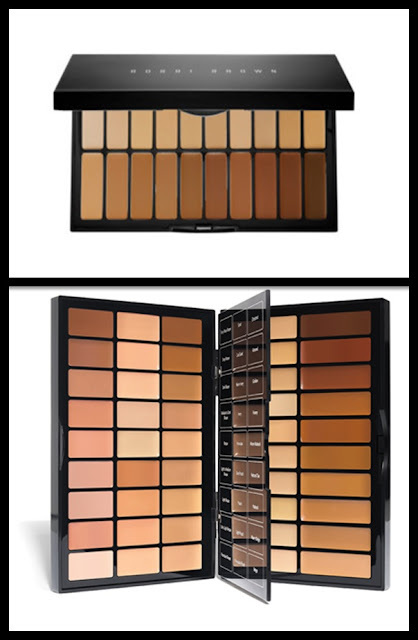 The BBU palette is made up of Bobbi Browns signature cream foundation sticks in all the colours of the skin tone rainbow, as well as creamy concealers and colour correctors that ought to help you handle anything life and face throws at you from dark circles to redness, wrinkles and skin discolouration, this is your go to. Again this is a product that is best warmed up and placed on the face using your fingers and then going in and working with a brush or damp beauty blender to buff it into the skin. Personally I have been buffing the product into the skin using a Real Techniques Expert Face brush and getting rid of any lines with a damp sponge or beauty blender. Though the foundation is made to offer a light coverage the product is fairly buildable and if you wanted you could go back in with some darker and lighter concealers and foundation colours to create some contoured and highlighted effects on the face the formula is just that versatile. The palette is a little more on the pricey side, retailing at around £200, and I wouldn't recommend getting this if you're not planning on pursuing a career in make up artistry because DAMN GIRL these are expensive, but they do literally have any and all of the colours you're going to need so as a make up artist consider this as a necessary evil... I mean investment.... woops. Again I hope you have enjoyed this little, teensy weensey peek into my make up artistry kit, I of course have a far more extensive skin, foundation, concealer and skincare range than this, so if you are interested in seeing just what it is I use on dry skin, oily skin or even the skin prep I do for any skin types be sure to leave your suggestions in the comments below! Otherwise you can catch me and my varying alter egos on Twitter, Instagram, Facebook and of course more from the blog on Bloglovin. Until next time folks, Bobbi, you are bae!